A new entrant into a heavily-contested segment mandates a spec comparo. Let’s take a look at how the Xtreme 200R fares against its rivals, on paper. To say that Hero have been quiet for the past few years would be an understatement. 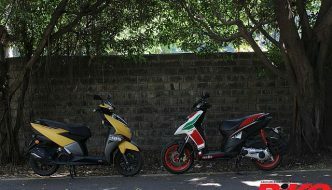 While their rivals were busy churning out new, sporty motorcycles and constantly upgrading them, Hero have been watching from the sidelines. They did send out a ripple at EICMA 2017, when they showcased the Xpulse 200, Hero’s latest attempt at a dual-purpose motorcycle. A couple of months later, Hero proudly exhibited the production-ready version of their 200-cc naked street motorcycle concept, now christened the Xtreme 200R. 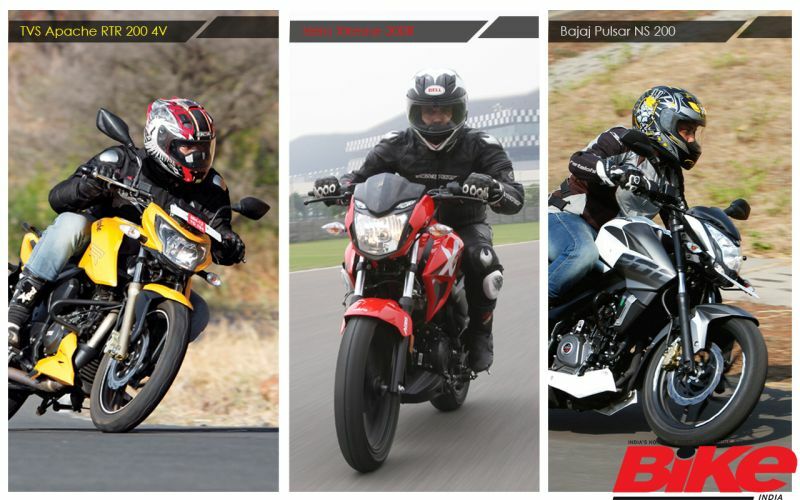 Earlier this month, we had a chance to ride the new Xtreme 200R at the Buddh International Circuit. Check out a brief first ride impression, here. 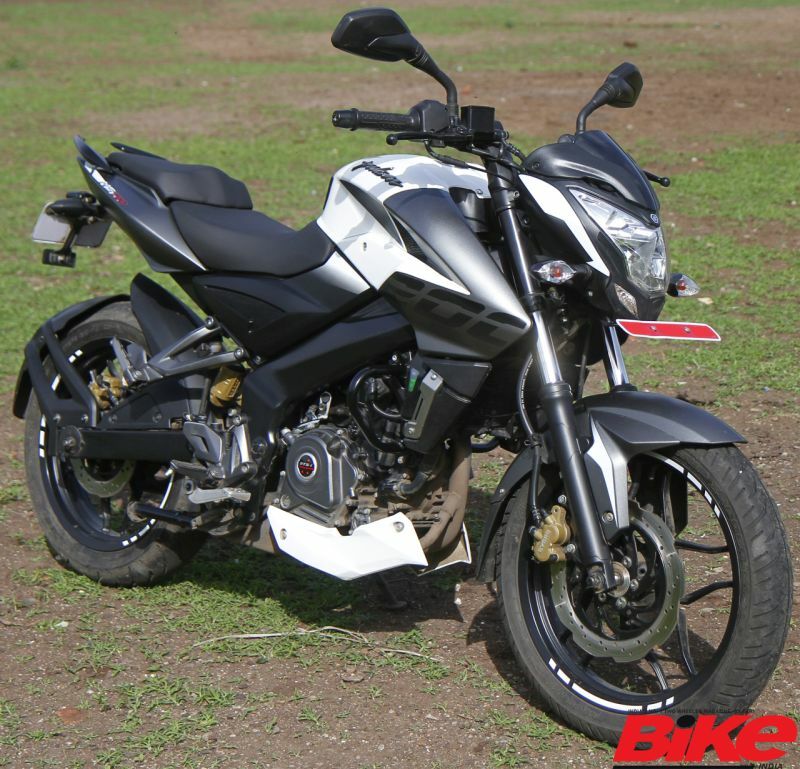 Have Hero cracked the code for success in the 200-cc naked segment in India? Let’s take a look at what the numbers say. Although its engine has the largest displacement in its class, the Xtreme is the least powerful of the three. Perhaps, Hero are aiming to undercut the competition with an aggressive price tag. 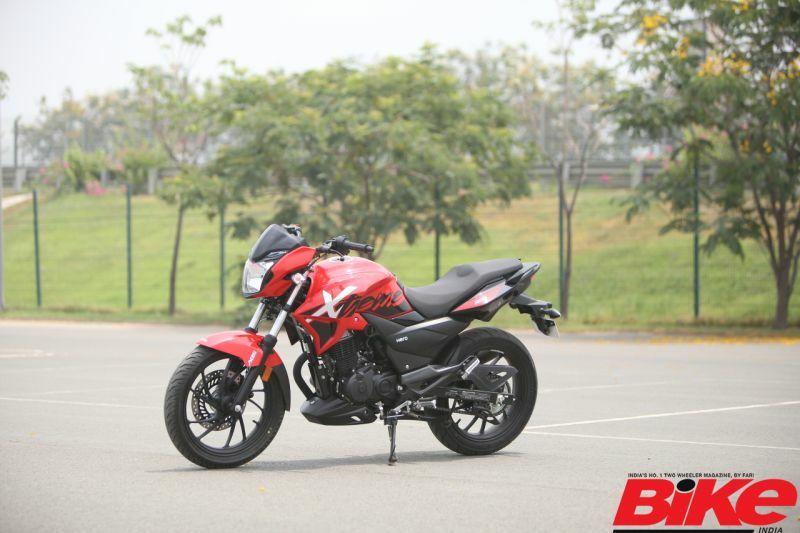 Word on the street is that the Xtreme will be priced close to the Bajaj Pulsar 180 DTS-i and the TVS Apache RTR180 ABS. 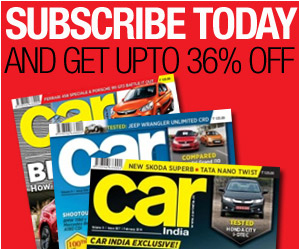 They are priced at Rs 82,650 and Rs 92,997 respectively; both prices are ex-showroom, India. 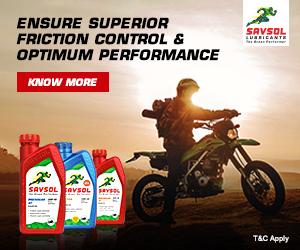 Interestingly, the Xtreme’s power figures are also close to, and higher than the 180-cc motorcycles that are currently on offer in the Indian market. From the numbers, we can see that the Hero is the most compact of the three, and the lightest as well. The Pulsar NS 200 is the oldest model here. It sports body decals, dual-tone colour, and a belly-pan. Overall, it looks big and continues to maintain that aggressive look which we admire. The styling of the Hero Xtreme 200R stays quite faithful to the original concept and shares a familial resemblance with the existing 150-cc Xtreme Sports. Notable new bits include steel-braided brake lines up front, a monoshock rear suspension, and the fact that those eyebrow-esque position lights are now powered by LEDs. The TVS Apache RTR200 4V comes bearing TVS’ racing heritage. The razor-sharp tank and belly-pan look aggressive. Its sporty appeal is further amplified by an off-set fuel-filler lid, a split seat, and a ‘grinning’ headlight. Now it is also available in a “Race Edition” with a slipper clutch. We are happy to see that manufacturers are now offering ABS. All three motorcycles feature ABS as an option. However, there is room for improvement. The Apache is the only motorcycle among the three that offers dual-channel ABS. In the others, ABS duty is confined to the front wheel. The Bajaj Pulsar NS 200 ABS is priced at Rs 1.11 lakh and the TVS Apache RTR 200 4V ABS costs Rs 1.09 lakh. Both prices are ex-showroom, India. Hero have priced the Xtreme 200R competitively at Rs 88,000; undercutting both their rivals. The price is ex-showroom, Guwahati. 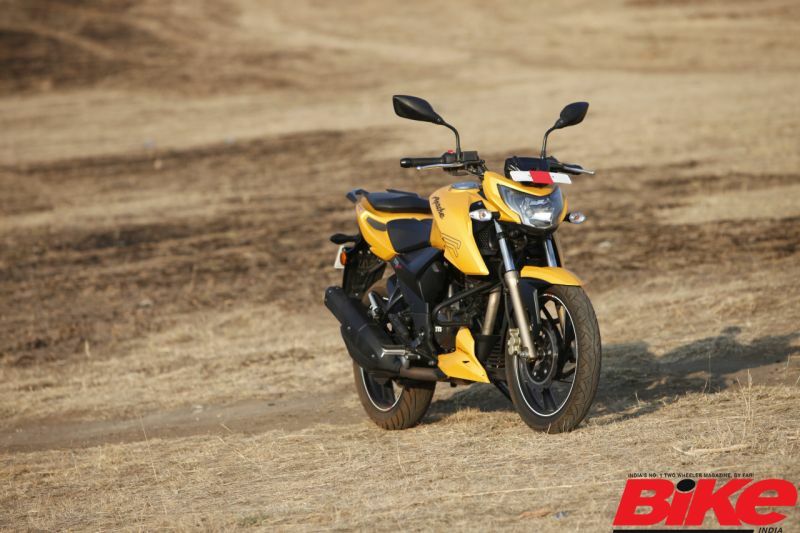 Hero have launched the motorcycle only in select states across the country. 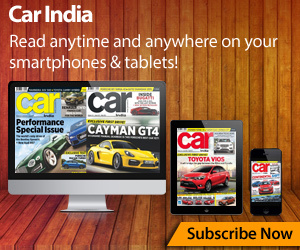 Fret not, the national launch is not too far away and we can expect similar pricing. 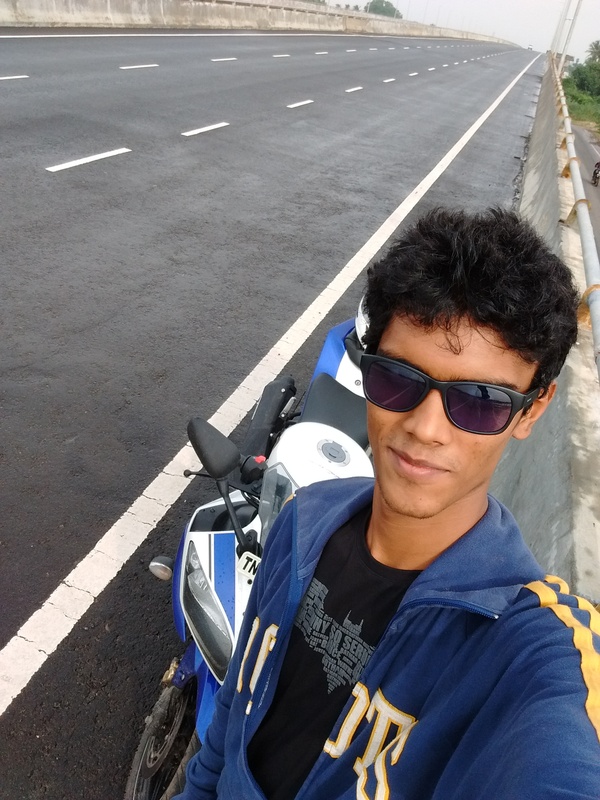 We found the Pulsar to offer pretty sorted handling and ride; one of the major reasons for this being its modern perimeter frame. Also. its well-sprung suspension set-up takes bad roads in its stride and the long wheelbase offers good straight-line stability. The Xtreme 200R, with its all-new frame and suspension, proved to be more than capable of some serious lean angles. 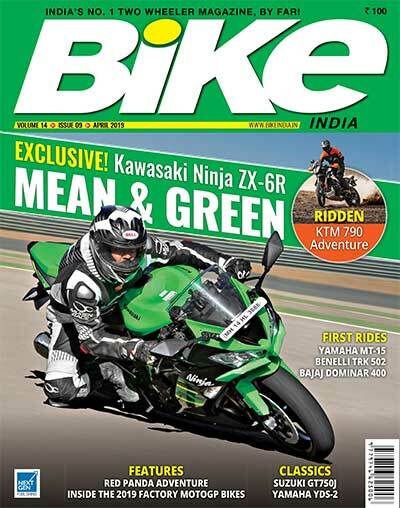 Even when tipped all the way over, with the foot-pegs grazing the tarmac, the bike felt planted and stable, allowing me to negotiate the technical parabola (at the Buddh International Circuit) at over 100 km/h with the throttle wide open in fifth. 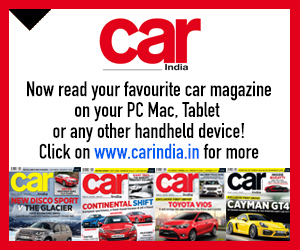 The TVS with its short wheelbase and racing genes is sharp, quick to change direction, and is extremely alert. Also, it’s not forgiving. So you have to be equally alert while giving input. It’s definitely engaging as it keeps you on your toes.